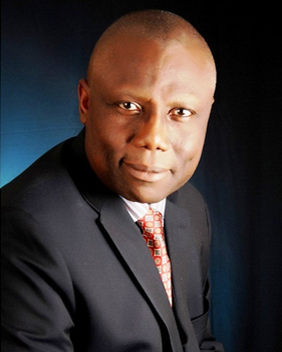 Professor Anthony Emeribe, ASLM Board Member, recently spoke with us about his career, the landscape of laboratory services in Nigeria, and the future of ASLM. What first interested you in a career in laboratory medicine? I was driven by a desire to serve humanity and to save lives. Clinical laboratories play a large role in this; results obtained in the laboratory can impact public health outcomes and can guide patient management. 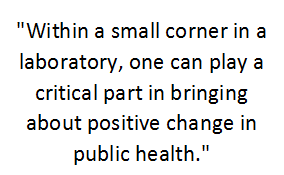 I was struck by the notion that from within a small corner in a laboratory, one can play a critical part in bringing about positive change in public health. I also appreciate the qualities required for being an effective medical laboratory scientist; practitioners must be meticulous and exhibit thorough attention to detail when investigating illnesses. Could you tell us a little about your professional background and current projects? My undergraduate and postgraduate training in laboratory medicine were at the Universities of Ibadan and Calabar in Nigeria and the University of Birmingham in the UK. I am a tenured Professor of Laboratory Haematology and Blood Transfusion Science at the University of Calabar, and I also served as the Head of Haematology at the University of Calabar and Teaching Hospital from 1996-2005. I was awarded grants from the World Health Organization and other agencies to conduct research on tropical diseases. I have also been a consultant for various organisations. With the Global HIV/AIDS in Nigeria (GHAIN) group, I played a key role in enhancing quality improvement and standardisation of laboratory services. As consultant to the Axios Foundation, I provided technical advice and guidance for the External Quality Assessment Programme for PEPFAR (the US President’s Emergency Plan for AIDS Relief) supported laboratories in Nigeria, which was funded by the US Centers for Disease Control and Prevention. My current role is in the public service sector, where I am the Registrar/CEO of the Medical Laboratory Science Council of Nigeria. This national regulatory authority for medical laboratory services aims to improve laboratory systems in the country by leveraging judicial and administrative systems in Nigeria. After this national assignment, I hope to return to my primary assignment at the university where my duties include teaching, supervising, mentoring, managing workforce and resources, conducting operational research in tropical diseases, monitoring and evaluating projects and community service. What do you enjoy most about your work? What are some of the challenges you face in your profession? In my current assignment, we aim to transform the entire medical laboratory service sector by working with a number of broad-ranging sectors. I enjoy the dynamic nature of this role; every day there are new people to meet and new problems to overcome. This demanding role requires flexibility and the strategic use of administrative and technical skills to make change. In terms of challenges, there are many. However, this does not mean that the wheel of progress is not rolling forward. A uniform challenge, throughout various sectors of the economy, is insufficient funding. As you know, there is always competition from a wide variety of agencies for federal government support. We still aim to make the best use of the limited financial support from the government as we can, in order to achieve our shared vision of good health for our citizens. The second major challenge is poor compliance to regulations by various stakeholders. For example, in Nigeria, the quality of laboratory and clinical services ranges quite greatly. Also, there is a lack of harmonisation throughout the health sector regarding the import and use of in-vitro diagnostic products. In Nigeria, how have the quality and capacity of laboratory services evolved since you began working in the medical laboratory field? How do you expect laboratory services to evolve in Africa within the next decade? The quality and capacity of laboratory services have gradually improved over time due to advances in technologies, improvement in professional training and laboratory workforce development, and enhanced regulatory framework. There is a need to meet diagnostic requirements for emerging and re-emerging infections. In Nigeria, and other African countries, the PEPFAR programme revitalised medical laboratory services. The programme provided the opportunity for health laboratory system strengthening through capacity building, infrastructure upgrade and increased laboratory accreditation. It also provided a uniform and standardised template for quality improvement programmes for laboratories across Africa, including QMS (quality management systems), SLMTA (Strengthening Laboratory Management Towards Accreditation) and SLIPTA (Stepwise Laboratory Quality Improvement Process Towards Accreditation). While some of these initiatives were pilot-tested in PEPFAR supported laboratories, the concepts have been used in non-PEPFAR supported laboratories. The gradual increase in participation in these initiatives has greatly improved uptake of quality assurance programmes such as site assessments, proficiency testing, internal quality control and equipment calibration services. In the next couple of years, I imagine that the quality of services across Africa will compete favourably with services offered in developed countries’ laboratories. What are your responsibilities as a member of the ASLM Board of Directors? As a pioneer member of the board, my responsibilities include participation in the development of ASLM’s Strategic Plan, which consists of expanding their goals, objectives and code of ethics. I also help assess organisational performance and forge new partnerships with various governments and NGOs. In your opinion, what do laboratory professionals have to gain from ASLM membership? It is in the interest of all laboratory practitioners to identify with ASLM because it offers such a huge platform for practitioners across the continent to network, improve the quality of their functions, build capacity and generally keep well-informed with latest developments in their profession. As we continue to exchange professional ideas and collaborate on laboratory issues, a shared passion and synergy is cultivated. Due to advancing technology, our continent is becoming smaller and collective progress can be more effortlessly shared from one part of the world to the other. ASLM offers a wonderful platform to actualise all of these goals. What are your hopes and expectations for African laboratory medicine and ASLM in the coming years? It is my hope and expectation that laboratory services will grow exponentially to meet the high expectations of our people, and that through education and advocacy, our people will take greater control of their health by making positive lifestyles changes. I hope that health laboratory professionals on the continent will utilise the right framework, education, workforce, infrastructure and quality standards that are available to us. It is also my hope that people will be better informed of the need for quality laboratory services and that, in addition to the influx of knowledge exchange through medical tourism, this will lead to greater investments in the health sector. 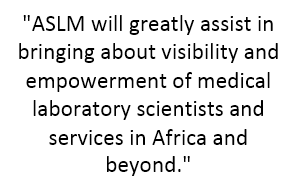 I strongly believe that ASLM will greatly assist in bringing about visibility and empowerment of medical laboratory scientists and services in Africa and beyond. Originally published in the May 2014 issue of Lab Culture newsletter.